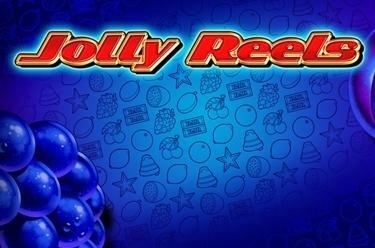 Play Jolly Reels online for free now! The fruits are just decorative - and very juicy - accessories in Jolly Reels because the king of jesters rules this game! Of course, the fruits get you some cash but the big bucks roll in when the Joker and his doppelgangers run the show in this slot: If you land 20 of them on the reels you crack the progressive jackpot! Luck is on your side in Jolly Reels if you land 5 matching symbols on up to 50 win lines. The winning patters run from left to right. The Joker is the Wild symbol that substitutes all symbols in a winning combo except for the Scatter (Star). 20 Jokers on the reels win the progressive jackpot. 3 or more Stars anywhere on the reels trigger 15 free games with Bonus Feature. 3, 4 or 5 Scatter (Stars) anywhere on the reels trigger 15 free games with the settings of the regular game. 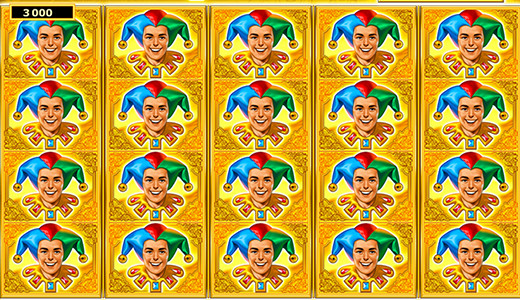 The Bonus Feature in the free games increases your winning odds: More Jokers land on the reels that substitute - just like in the regular game - any symbol except for the Star (Scatter). At least 3 Scatter get you more free games. 20 Joker symbols following a spin crack the progressive jackpot. If you played with the maximum possible stake, you’ll win the entire jackpot. If you played with lower stakes, your share of the jackpot will be calculated accordingly.